Dolby Atmos has been designed to enhance surround systems in even further by adding ceiling or downward firing speakers which create a 3D dimensional sound space. Traditional 5.1 and 7.1 systems which most people are now familiar with offer surround sound in 2D, where as Dolby Atmos offers 3D sound. 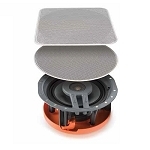 Dolby Atmos requires either 2 or 4 ceiling speakers in order to give the full 3D sound effect. 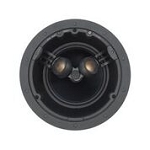 These ceiling speakers, also referred to as height speakers can easily be integrated into both 5.1 and 7.1 setups. Below are two examples. Example One - 5.1.4 setup, comprising off 5 x surround speakers, 1 x subwoofer and 2 x Atmos Ceiling speakers. 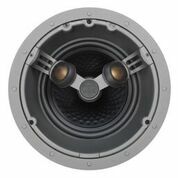 Example Two - 7.1.4 setup which comprises 5 x surround speakers, 1 x subwoofer and 2 x Atmos Ceiling speakers. 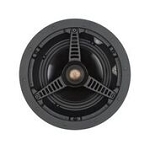 Please note that both 5.1 and 7.1 setups can use either 2 or 4 ceiling speakers for a Dolby Atmos setup. For compatible Dolby Atmos receiver, please click here.